This tutorial was originally published on my old blog but I thought I'd move it over. 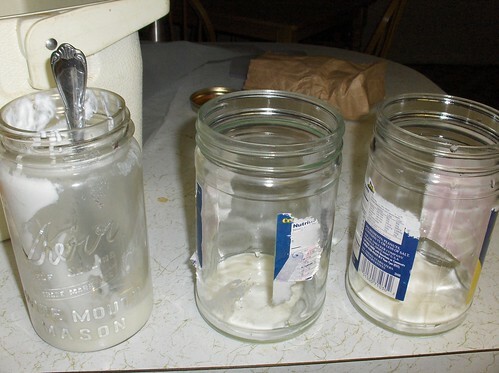 While I still buy those outrageously expensive individual cups of yogurt on occasion, I almost always have a quart or two of homemade yogurt in the fridge. I use it mostly in fruit smoothies. Some frozen fruit and some yogurt, blended up, makes a delicious and nutritious breakfast drink. 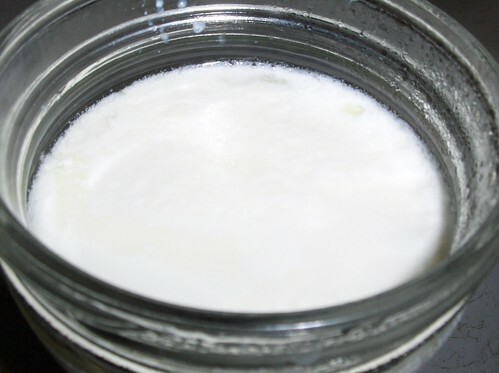 It is super easy to make your own yogurt, for a fraction of the cost of store-bought. 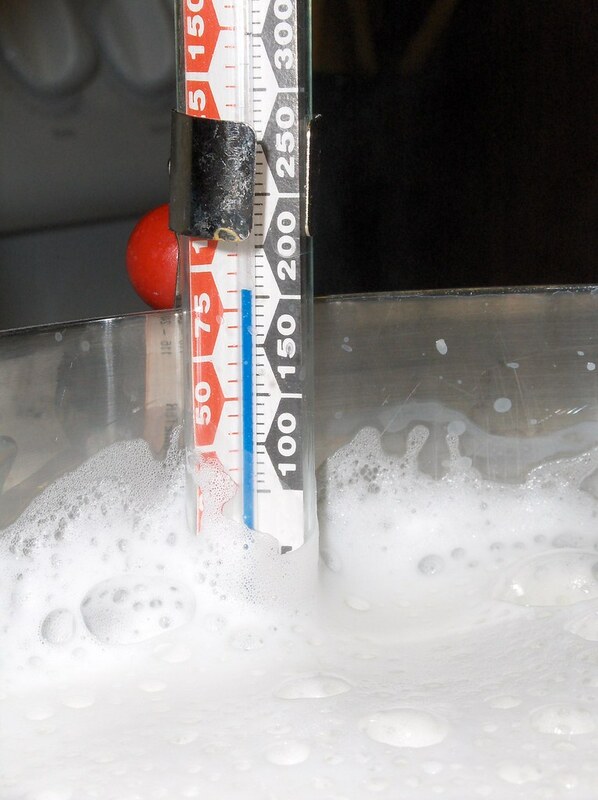 Heat up the milk in the saucepan until it is 180 degrees. Spoon a little of the warm milk in to bring the yogurt's temperature up. 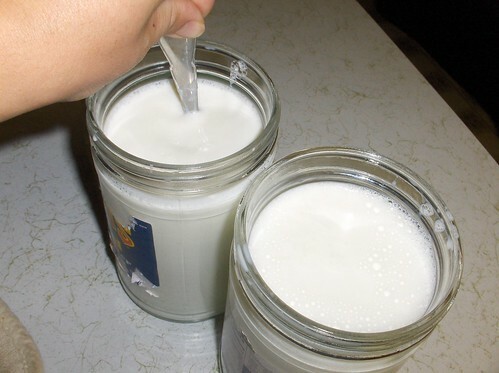 Then pour the yogurt mixture into the milk, stir it thoroughly, and pour it into your jar(s). then put the lid on, and let it sit for 5-8 hours. Voila! Homemade yogurt, so little work! What kinds of milk should you use? Any kind. The higher the fat content, the creamer and richer the yogurt. I recently have been making whole milk yogurt because it makes the smoothies very rich and filling and almost like milkshake. But I also make skim milk yogurt from powdered milk. When making it with powdered milk, I often add extra powder to add extra protein. 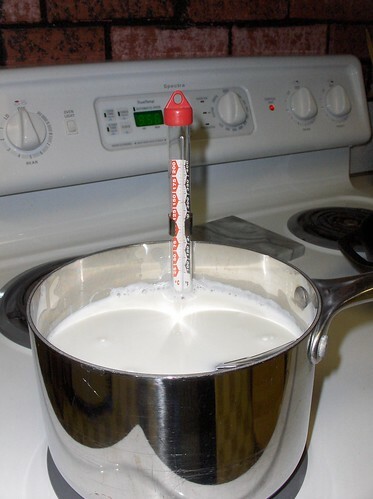 The advantage of using powdered milk is you don't need to heat it up and cool it. I mix the powder with 120-degree water and proceed as usual. To flavor your yogurt, stir in some jam, or some vanilla or lemon extract and a little honey or sugar. Want organic yogurt? Use organic milk. It makes your cost savings even more! 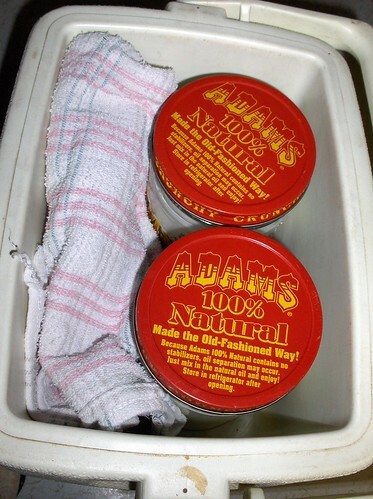 When you get to the end of the jar, save the last 2 tablespoons for your next batch. It's called chain yogurting. You can chain yogurt for a long time before the yogurt won't set up well. If you buy a big container for your starter, you can freeze the excess in ice-cube trays and thaw them when you need fresh starter.